Virtual Reality has been a common theme at CES for a while. Every year, different companies showcase their best effort in an attempt to make VR more impressive. However, we haven’t seen anything groundbreaking, at least not yet. But it looks like it’s about to change this year as the Teslasuit will make an appearance in Las Vegas next week. Teslasuit has been in the news for quite some time now and it’s good to see it making an appearance at CES this year. 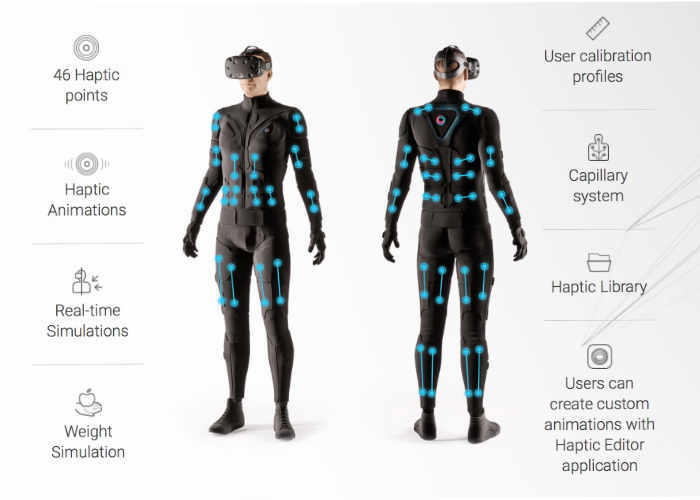 In case you don’t know, Teslasuit is the world’s first full-body haptic feedback suit. It provides incredible real-world sensations thanks to unique features such as motion capture, thermal controlling, etc. The motion capture provides a 2-way communication in a VR/AR environment with gesture control and position tracking. In fact, the climate component transmits the temperature change in a digital environment and simulates a range of temperature sensations. 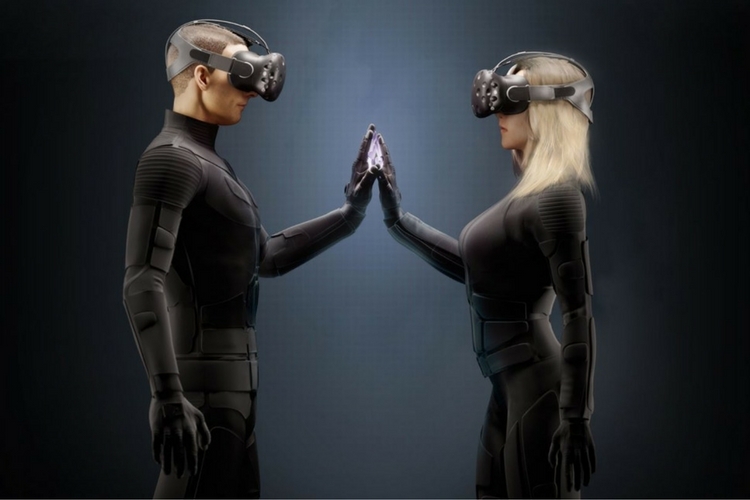 The Teslasuit lets you experience 46 haptic feedback points to ensure you can also feel sensations like raindrops falling on your when you walking through a VR storm. It’s haptic feedback system is linked to a library where the makers have stored haptic simulations for various environments and designed on specific parts of the body parts. What’s most interesting is that Teslasuit claims to be compatible with every major virtual reality system out there. There’s a danger that the haptic feedback would be limited to the existing titles or VR apps, but the company says it is developing more experiences that can be incorporated by third-party developers. That being said, if you’re looking to attend CES this year, be sure to stop by Teslasuit’s booth and get a hands-on (body-on?) experience.